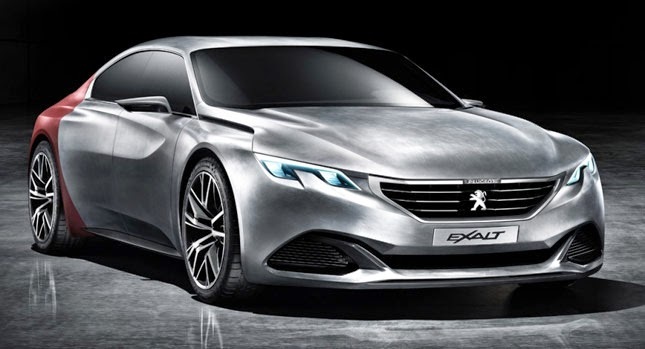 Many world's automotive manufacturers displaying their flagship products at the 2014 Beijing Motor Show, the French automotive company will also feature a new concept car dubbed as the Peugeot Exalt, a coupe type car that is designed with a sporty element to the show every curve of its body. First seen on Onyx, the distinct line in the Exalt’s side separates a bare metal front from a textured material that Peugeot says was inspired by the skin of a shark. Inside, sound deadening material ensures a quiet and peaceful ambience, and this is enhanced by premium materials used for surfaces such as natural wool, aged leather, bare steel and a variety of real wood elements. 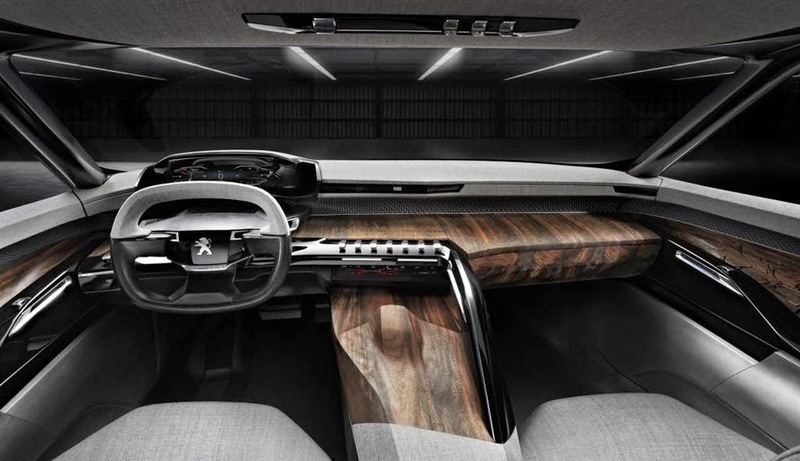 Peugeot Exalt offers a unique driving experience through a comfortable cabin through wood panels, black and gray. "125 years of the history of Peugeot cars and spend a lot of models, each of which has a character. Exalt Concepts, this model confirms the position and open a new chapter. We move forward, firmly and with confidence," said CEO of Peugeot, Maxime Picat as reported from Newpress, on Thursday, April 10, 2014. Under the hood is the latest version of Peugeot’s HYbrid4 ‘through-the-road’ hybrid all-wheel-drive system, which is claimed to deliver 340 horsepower total system output. HYbrid4, which is already available on some Peugeot models, was originally developed for Peugeot’s Le Mans efforts and uses an internal combustion engine to power one axle and an electric motor for the opposing axle. In the case of the Exalt, a turbocharged 1.6-liter four-cylinder and six-speed automatic is mounted up front and an electric motor is at the rear. This machine sits on top of the chassis made from choice to suppress weight. Claimed by Peugeot, the car blends the raw materials from Chinese to French culture and weighs only 1,700 kg. Each of these ingredients have been used strictly for the sake of efficiency. "Peugeot Exalt is athletic, strong and lean, combining original material. Cabin, using natural materials, dedicated to the comfort and instinctive drive. 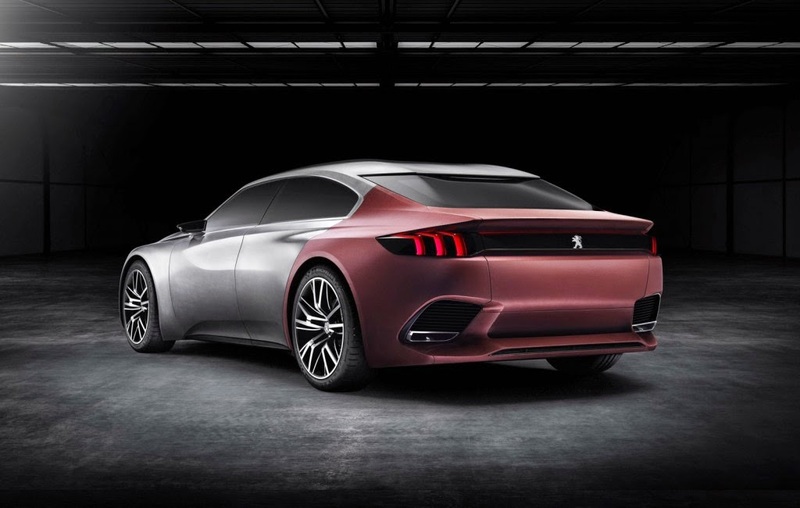 Innovative concept makes it more attractive and more flexible," assured Chief Design Peugeot Exalt, Pierre Paul Mattei. 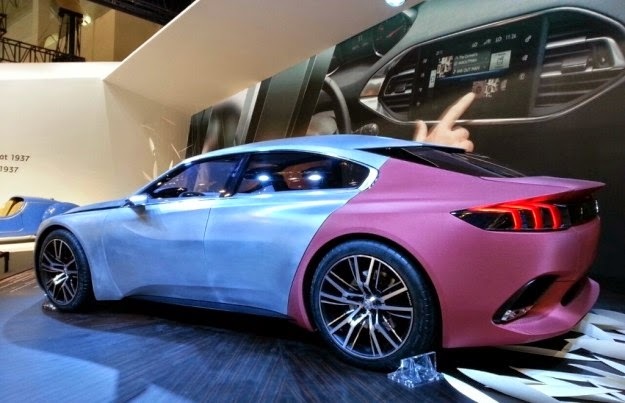 Peugeot Exalt Concept has a radical design that is inspired by shark skin. Exalt has a unique exterior appearance clad in a material known as shark skin. According to the French manufacturer, the material is highly inspired from the skin of the shark. In the headlights there are black-light system that will be very useful to use in the late afternoon towards evening. Entry into the cabin, the interior is covered with luxurious leather materials and fabrics of wool-based chine. The cabin is quite roomy with ebony accents in some parts. The cabin was proved to have a concept of i-Cockpit, as the Peugeot 208, 2008, and the latest 308.